The nonsurgical treatments for obstructive sleep apnea include behavior therapy, including weight loss, medications, dental appliances, continuous positive airway pressure, bi-level positive airway pressure, and auto-titrating continuous positive airway pressure. The surgical treatments for obstructive sleep apnea include nasal surgery, palate surgery (including uvulopalatopharyngoplasty [UPPP]), upper airway stimulation therapy, tongue reduction surgery, genioglossus advancement, maxillo-mandibular advancement, tracheostomy, and bariatric surgery. Sleep apnea may lead to frequent awakening of the bed partner resulting in insomnia and its associated symptoms. Sleep apnea is a disorder characterized by a reduction or pause of breathing (airflow) during sleep. It is common among adults, becoming more common in children. 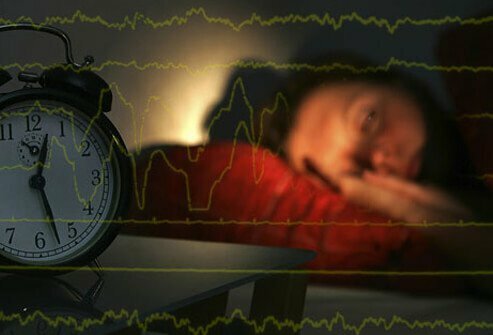 Although a diagnosis of sleep apnea often will be suspected on the basis of a person's medical history, there are several tests that can be used to confirm the diagnosis. The treatment of sleep apnea can be either surgical or nonsurgical. An apnea is a period of time during which breathing stops or is markedly reduced. In simplified terms, an apnea occurs when a person stops breathing for 10 seconds or more. If a person stops breathing completely or take less than 10% of a normal breath for a period that lasts 10 seconds or more, this is an apnea. This definition includes complete stoppage of airflow. Other definitions of apnea that may be used include at least a 4% drop in oxygen in the blood, a direct result of the reduction in the transfer of oxygen into the blood when breathing stops. Apneas usually occur during sleep. When an apnea occurs, sleep usually is disrupted due to inadequate breathing and poor oxygen levels in the blood. Sometimes this means the person wakes up completely, but sometimes this can mean the person comes out of a deep level of sleep and into a more shallow level of sleep. Apneas are usually measured during sleep (preferably in all stages of sleep) over a 2-hour period. An estimate of the severity of apnea is calculated by dividing the number of apneas by the number of hours of sleep, giving an apnea index (AI in apneas per hour); the greater the AI, the more severe the apnea. A hypopnea is a decrease in breathing that is not as severe as an apnea. Hypopneas usually occur during sleep and can be defined as greater than 30% of a normal breath. Like apneas, hypopneas also may be defined as a 3-4% or greater drop in oxygen in the blood. Like apneas, hypopneas usually disrupt the level of sleep. A hypopnea index (HI) can be calculated by dividing the number of hypopneas by the number of hours of sleep. Another index that is used to measure sleep apnea is the respiratory disturbance index (RDI). The respiratory disturbance index is similar to the apnea-hypopnea index; however, it also includes respiratory events that do not technically meet the definitions of apneas or hypopneas, but do disrupt sleep. Sleep apnea is formally defined as an apnea-hypopnea index of at least 15 episodes/hour in a patient if he or she does not have medical problems that are believed to be caused by the sleep apnea. This is the equivalent of approximately one episode of apnea or hypopnea every 4 minutes. High blood pressure, stroke, daytime sleepiness, congestive heart failure (low flow of blood to the heart), insomnia, and mood disorders can be caused or worsened by sleep apnea. In the presence of these conditions, sleep apnea is defined as an apnea-hypopnea index of at least five episodes/hour. This definition is stricter because these individuals may be already experiencing the negative medical effects of sleep apnea, and it may be important to begin treatment at a lower apnea-hypopnea index. mixed sleep apnea (both central sleep apnea and obstructive sleep apnea). During sleep, the brain instructs the muscles of breathing to take a breath. Central sleep apnea (CSA) occurs when the brain does not send the signal to the muscles to take a breath and there is no muscular effort to take a breath. Obstructive sleep apnea (OSA) occurs when the brain sends the signal to the muscles and the muscles make an effort to take a breath, but they are unsuccessful because the airway becomes obstructed and prevents an adequate flow of air. Mixed sleep apnea, occurs when there is both central sleep apnea and obstructive sleep apnea. Central sleep apnea (CSA) occurs when the brain does not send the signal to breathe to the muscles of breathing. This usually occurs in infants or in adults with heart disease, cerebrovascular disease, or congenital diseases, but it also can be caused by some medications and high altitudes. Central sleep apnea may occur in premature infants (born before 37 weeks of gestation) or in full-term infants. It is defined as apneas lasting more than 20 seconds, usually with a change in the heart rate, a reduction in blood oxygen, or hypotonia (general relaxation of the body's muscles). These children often will require an apnea monitor that sounds an alarm when apneas occur. Central sleep apnea in children is not the same thing as sudden infant death syndrome (SIDS). Under normal circumstances, the brain monitors several things to determine how often to breathe. If it senses a lack of oxygen or an excess of carbon dioxide in the blood it will speed up breathing. The increase in breathing increases the oxygen and decreases the carbon dioxide in blood. Some people with heart or lung disease have an increase in carbon dioxide in their blood at all times. When there is a chronic (long-term) increase in blood carbon dioxide, the brain starts to ignore the oxygen level and monitors the blood carbon dioxide level to determine when to take the next breath. The control of breathing also becomes slower to respond to changes in carbon dioxide levels; so when a person takes more or deeper breaths and "blows off" carbon dioxide the drive to breathe decreases and the rate of breathing decreases. As a result of slower rate of breathing, carbon dioxide builds back up in the blood and the rate of breathing increases again. The brain, slow to adjust, continues to signal for more rapid breathing until the carbon dioxide level drops too low. Breathing then slows down or stops until the carbon dioxide level rises again. This pattern of abnormal breathing is called Cheyne-Stokes breathing (after the men who described it). It is characterized by repetitive cycles of fast breathing followed by slow breathing and apnea. The full cycle is roughly around 90 seconds. This breathing pattern happens when the person is awake or asleep, but becomes more of a problem when asleep. Some patients with heart failure have central sleep apnea associated with a Cheyne-Stokes pattern of breathing. Central sleep apnea usually occurs in adults with other medical problems. In infants, it usually occurs with prematurity or other congenital disorders. In both patient groups it is usually suspected by the primary care doctor. Central sleep apnea can be diagnosed with a sleep study or overnight monitoring while the patient is in the hospital. In infants, central sleep apnea is treated with an apnea alarm. This alarm monitors the infant's breathing with sensors and sounds a loud noise when the infant experiences an apnea. The alarm usually wakes the infant and the parents. Most infants usually "out-grow" the central apnea episodes, so the alarm monitoring is stopped after the episodes resolve. In infants with other congenital problems, apnea monitoring may be needed for a longer period. In adults with central sleep apnea, the apneas are treated by treating the underlying heart disease, medication interaction, high altitude, or other primary problem. finally, when the oxygen in the blood stream decreases the person wakes up or the level of sleep becomes more shallow in order to more consciously take a breath. People with obstructive sleep apnea have an airway that is more narrow than normal, usually at the base of the tongue and palate. When lying flat, the palate is above the air passage. When the pharyngeal muscles (muscles of the pharynx or throat ) relax the palate can fall backwards and this can obstruct the airway. The genioglossus muscle is located where the base of the tongue attaches to the jawbone in front. Most people have enough space behind the tongue to take a breath without needing to pull the tongue forward. However, when obstructive sleep apnea patients are awake, this muscle needs to be active to pull the base of the tongue forward to open the airway. During sleep, most muscles including the genioglossus relax. During the stage of rapid eye movement (REM), the muscles completely relax. Relaxation of the genioglossus muscle during sleep allows the base of the tongue to fall backwards and the airway closes. Patients with obstructive sleep apnea often don't report waking up during the night with each episode of apnea. Frequently, during the apnea the brain only awakens from a deep sleep (stages N3 [non-rapid eye movement Stage 3], or REM) to a shallow level of sleep. The genioglossus muscle then contracts and pulls the tongue forward so that a breath can be taken. The patient may remain asleep, but the deep sleep that is important to be fully rested the following day is disrupted. Obstructive sleep apnea (OSA) is estimated to affect about 24% to 31% of men and 9% to 21% of women. In one study of people over 18 years of age, obstructive sleep apnea was estimated to develop in 1.5% of people per year over the 5 year study. It is probably more common than either of these numbers because the population is becoming more obese, and obesity worsens obstructive sleep apnea. More shocking is the estimate that only 10% of people with obstructive sleep apnea are currently receiving treatment and many patients with sleep apnea remain undiagnosed. Among obese patients, a majority have obstructive sleep apnea. Obstructive sleep apnea worsens in severity and prevalence with increasing obesity. Among patients with heart disease, a significant portion have obstructive sleep apnea, and among patients with strokes, a majority have obstructive sleep apnea. African-Americans over the age of 65 have a 2.5 times greater risk of obstructive sleep apnea than Caucasians. The prevalence of obstructive sleep apnea in the Chinese population is similar to American Caucasians, but the Chinese population is generally smaller and less obese than the general American population. Therefore, something besides obesity must be the explanation for obstructive sleep apnea in the Chinese population. We do not understand the reasons for these differences, but studies are ongoing to better define the risks. The prevalence of sleep apnea in nonobese and otherwise healthy children younger than 8 years old is considered as high as 1% to 10%. Obstructive sleep apnea may develop in children of all ages, even in infants. Prematurely born infants are at a higher risk to develop sleep apnea. It is important to note that the bed partner of individuals with sleep apnea may also suffer from poor nighttime sleep and can have some of the same symptoms. Sleep apnea can cause or worsen high blood pressure and heart problems. Cessation of breathing frequently during the night (every 1 to 4 minutes) can cause increased stress on the heart. As the oxygen saturation in the blood decreases and the apnea continues, the sympathetic nervous system (responsible for the "fight or flight" response of the body) is activated. This fight or flight response sends nerve signals to the blood vessels to constrict (tighten up) and to the heart to work harder. When the vessels constrict, more blood is sent to the brain and muscles. However, as a result this increases the blood pressure, which requires the heart to work harder to pump blood through the smaller caliber vessels. That, combined with the signal for the heart to work harder and the lower available oxygen in the blood from apnea, causes increased stress on the heart throughout the night. Sleep is normally the time when the heart has less work to do and can "rest." Among patients with obstructive sleep apnea that do not have high blood pressure, 45% will develop high blood pressure within 4 years. If one examines patients who have hard-to-control blood pressure, that is, taking more than one medicine for control, up to 80% can potentially have obstructive sleep apnea. When the obstructive sleep apnea is treated, blood pressure decreases. The risk for congestive heart failure increases by 140% and the risk of stroke by 60% times with obstructive sleep apnea. Obstructive sleep apnea can complicate the treatment of atrial fibrillation. Atrial fibrillation is an abnormal heart rhythm in which the upper part of the heart (atrium) is beating out of coordination with the lower part (ventricle). The treatment is to cardiovert the heart (resetting the atrium and allowing it to synchronize with the ventricle). After cardioversion, 50% of patients have a recurrence of atrial fibrillation, but patients with obstructive sleep apnea have an 80% recurrence. Obstructive sleep apnea can be diagnosed and evaluated by subjective (perceived or biased) and objective (factual, based on empirical data) methods. An example of a subjective method that measures the effects of obstructive sleep apnea on patients is the Epworth Sleepiness Scale. The Epworth Sleepiness Scale is a self-report test that establishes the severity of sleepiness. A person rates the likelihood of falling asleep during specific activities. Using the scale from 0 to 3 below, the risk of dozing can be ranked from the chart below. After ranking each category, the total score is calculated. The range is 0 to 24, with higher scores suggesting greater sleepiness. Breaking it down further, excessive daytime sleepiness is greater than 10. It is important to note that in patients with insufficient sleep (less than 7-7.5 hours for most adults), they can also have daytime somnolence even without obstructive sleep apnea. Next a physical examination is performed to examine the areas of possible airway collapse. In the nose, this includes the septum, turbinates, nasal polyps, adenoid hypertrophy, and nasopharynx (back of the nose). In the mouth, the palate, tonsils, uvula, pharyngeal walls, and neck circumference are all examined. The EEG (electroencephalogram) monitors brain waves and can be used to determine the level of sleep or wakefulness. It is helpful for determining if an event (respiratory or limb movement) disrupts the level of sleep. An EMG (electromyogram) measures muscle movements. Frequently, an additional monitor is placed on the chin to measure muscle relaxation (tone). During stage 1-4 sleep there is a baseline muscle tone; however, during REM sleep all muscles relax. The EMG also helps to determine the duration of REM sleep. An EMG of the legs can be used to detect "restless legs syndrome" or periodic leg movements during sleep. Oximetry is used to measure the decreases in oxygen in the blood during apneas and hypopneas. After polysomnography is completed the data are analyzed by a board certified sleep specialist. The number of apneas, hypopneas, leg movements, and desaturations as well as sleep levels are all recorded in a formal report, and a diagnosis is made. For someone who reports being sleepy during the day, it is sometimes helpful to measure how sleepy they are. Also, after treatment of sleep problems the doctor may want to measure improvement in daytime sleepiness. Sleepiness can be measured with a Multiple Sleep Latency Test (MSLT). Basically, the MSLT measures how fast someone falls asleep during the day. It must be done after an overnight sleep study (polysomnography), which documents adequate opportunity for sleep the night before. The test is composed of four to five naps that last 20 minutes and are spaced2 hours apart. The person is instructed to try and fall asleep. The average time to fall asleep is calculated for all four or five tests. Normal time would be greater than 10 minutes to fall asleep. Excessive sleepiness is less than 5 minutes to fall asleep. The Maintenance of Wakefulness Test (MWT) also measures daytime sleepiness. The person in this test is instructed to try to stay awake. This is repeated for four 40-minute sessions 2 hours apart. Not falling asleep in all four tests is the strongest objective measure of no daytime sleepiness. Some agencies use these tests to ensure that their employees are not excessively sleepy while at work. Specifically, airline pilots and truck drivers who have sleepiness need to be tested. This is done for public safety and work productivity. Unfortunately, there is no test that will guarantee that someone will not fall asleep at his or her job or while driving. Obstructive sleep apnea can be categorized as mild, moderate, or severe. This stratification assists in determining the direction of treatment. For example, some treatments that are excellent for mild sleep apnea nearly always will fail for severe sleep apnea. The severity level is measured with polysomnography. In one grading scale using the apnea-hypopnea index, mild obstructive sleep apnea is 5 to 15 events per hour, moderate obstructive sleep apnea is 15 to 30 events per hour, and severe obstructive sleep apnea is more than 30 events per hour. Obesity is a known contributing factor to obstructive sleep apnea. It is estimated that a 10% weight gain will worsen the apnea-hypopnea index, and a 10% weight loss will decrease the apnea-hypopnea index. Therefore, a healthy lifestyle and diet that encourages weight loss will improve obstructive sleep apnea. Unfortunately, most people with obstructive sleep apnea are tired and do not have much energy for exercise. This is a difficult behavioral spiral since the more tired a person is, the less they exercise, the more weight they gain, the worse the obstructive sleep apnea becomes, and the more tired they become. Frequently, after obstructive sleep apnea is treated by other methods people are able to lose weight and the obstructive sleep apnea may improve. try a period of physical and mental relaxation before going to bed. Many medications have been studied for obstructive sleep apnea; however, because obstructive sleep apnea is due to an anatomic airway narrowing it has been difficult to find a medication that helps. Additional studies are being conducted and may proivide and alternative in the future. In people with nasal airway obstruction causing obstructive sleep apnea, nasal steroid sprays have been shown to be effective. In one study, the respiratory disturbance index (RDI) decreased from 20 to 11 with nasal sprays. Topical nasal decongestants such as oxymetazoline and neosynephrine, also can temporarily improve nasal swelling. The problem is that they cannot be used for more than 3 to 5 days without decreased effectiveness and withdrawal symptoms. People who have obstructive sleep apnea due to hypothyroidism (low thyroid hormone production) is uncommon. However, some have improved with thyroid replacement therapy. People with normal thyroid function will not improve with this therapy. People who have obstructive sleep apnea due to obesity may improve with diet medications if they are effective in assisting with weight loss. Other medications have been studied, including medroxyprogesterone (Provera, Cycrin, Amen), acetazolamide (Diamox), theophylline (Theo-Dur, Respbid, Slo-Bid, Theo-24, Theolair, Uniphyl, Slo-Phyllin), tricyclic antidepressants, and selective serotonin reuptake inhibitors (SSRIs). In these studies, they were shown to have little or no effect. There are also new medications to help increase alertness. They may be temporarily successful in increasing attention; however, they do not treat the sleep deprivation or the cause of obstructive sleep apnea. In cases where sleep apnea may be caused by another underlying condition, appropriate treatment of such conditions is recommended and may be beneficial. For example, treating underlying heart failure may improve sleep apnea if it is a contributing factor. In people with sinusitis and nasal congestion, the swelling and inflammation of the upper airway passages can cause snoring and sleep apnea. Therefore, medications to treat underlying sinusitis and congestion can potentially improve sleep apnea in these individuals. Medications are also available that could increase daytime wakefulness in people who suffer from sleep apnea. These medications stimulate the brain through an unknown mechanism of action. The prototypical drug in this class is called modafinil (Provigil). Studies have revealed greater resolution of daytime sleepiness when using modafinil in patients with sleep apnea. A similar, newer drug in this class, called armodafinil (Nuvigil), has a longer half-life and is also approved by the FDA for the treatment of excessive daytime sleepiness in people with sleep apnea. Armodafinil has shown similar clinical results in significantly improving daytime quality of life and functioning. It is important to note that the primary treatment for obstructive sleep apnea (OSA) remains CPAP (described below). Stimulants, such as modafinil (Provigil) and armodafinil, are recommended for those who have excessive daytime sleepiness despite proper CPAP use at night. They are not meant to replace CPAP use, but rather, as an adjunctive therapy to CPAP in those who have daytime symptoms even with CPAP use. Approximately one third of people who use CPAP at night for sleep apnea may continue to have somnolence during the day. This is the population that could benefit from using modafinil (Provigil) or armodafinil (Nuvigil). Dental appliances are an excellent treatment for mild to moderate obstructive sleep apnea. It is reported to be effective for these groups. A dental appliance does not require surgery; it is small, portable, and does not require a machine. They may be considered for use in combination with other treatment as well, including CPAP and nasal or other upper airway surgery. There are some disadvantages to the dental appliance. It can cause or worsen temporomandibular joint (TMJ) dysfunction. If the jaw is pulled too far forward, it can cause pain in the joint when eating. For this reason, it is best to have a dentist, oral surgeon, or ENT surgeon who specializes in sleep fit and adjust the appliance. A dental appliance requires natural teeth to fit properly, it must be worn every night, and the cost is variable, as is insurance coverage. CPAP was first used in Australia by Dr. Colin Sullivan in 1981 for obstructive sleep apnea. It delivers the air through a nasal or face-mask under pressure. As a person breathes, the gentle pressure holds the nose, palate, and throat tissues open. It feels similar to holding one's head outside the window of a moving car. A person can feel the pressure, but can also breathe easily. The CPAP machine blows heated, humidified air through a short tube to a mask. The mask must be worn snugly to prevent the leakage of air. There are many different masks, including nasal pillows, nasal masks, and full-face masks. CPAP machines today are smaller than a toaster. It is portable and can be taken on trips. Determining CPAP pressure: With CPAP it is important to use the lowest possible pressure that will keep the airway open during sleep. This pressure is determined by "titration." Titration frequently is performed with the help of polysomnography. It can be performed during the same night as the initial polysomnography or on a separate night. In the sleep laboratory an adjustable CPAP machine is used. A mask is fit to the person and he or she is allowed to fall back asleep. However, for many patients, the titration portion of treatment is increasingly done by an "auto-titrating" CPAP machine at home, APAP. During baseline sleep the apneas and hypopneas occur, and the technician then slowly increases the CPAP pressure until the apneas and hypopneas stop or decrease to a normal level. A different pressure may be needed for different positions or levels of sleep. Typically, laying on the back and REM sleep promote the worst obstructive sleep apnea. The lowest pressure or range of pressures that controls obstructive sleep apnea in all positions and sleep levels is prescribed. Problems with CPAP: The first 2 to 4 weeks is the crucial time to become a successful CPAP user. During this time, it is important to try to sleep as many hours a night as possible with the mask on. If the CPAP mask does not fit properly or the machine is not working it is important to have it fixed immediately. It is also helpful to remember all of the increased risks of untreated obstructive sleep apnea (decreased productivity, heart attacks, strokes, car accidents, and sudden death) as an incentive to continue using CPAP. People with severe obstructive sleep apnea may never get a normal night of sleep. They often put on the CPAP mask and think it is the best thing ever. They quickly get used to it because it allows them to sleep. They take it on vacations because without it they have no energy and are always sleepy. However, CPAP is not always easy to use. People with only mild to moderate sleep apnea often have a harder time using CPAP. A majority of people with CPAP machines report that they use them, but only some of them actually use them more than 4 hours per night when the actual use time is measured. A large percentage of people who start using CPAP, stop using it. It is not easy to sleep with a mask that is blowing air into the nose. Some people are claustrophobic and have difficulty getting used to any mask. If a patient has nasal congestion or a septal deviation; it is important to have these evaluated since they can be treated (as discussed later). Some people do not like the inconvenience of sleeping with the mask or traveling with the machine. Others do not like the image of having to sleep with a mask. The noise of the machine blowing air can also be bothersome to some people using the CPAP or their bed partners. Bi-level positive airway pressure (BiPAP) was designed for people who do not tolerate the higher pressures of CPAP. It is similar to CPAP in that a machine delivers a positive pressure to a mask during sleep. However, the BiPAP machine delivers a higher pressure during inspiration, and a lower pressure during expiration, which allows the person not to feel like they are breathing out against such a high pressure, which can be bothersome. It is most helpful for people who require a higher pressure to keep their airway open. BiPAP was designed to improve CPAP compliance; however it is difficult to measure an increase in compliance when compared to standard CPAP. BiPAP is often only approved by insurance companies after documentation that a patient cannot tolerate CPAP. The auto-titrating CPAP machine is a "smart" CPAP machine that makes pressure adjustments throughout the night. As discussed above, different pressures are needed for different levels of sleep and positions. The goal of auto-titrating CPAP is to have the lowest possible pressure for each position or sleep level. At a given pressure, if a person starts to have an apnea or hypopnea, the machine adjusts the pressure higher until the episodes are controlled. If a person is in a sleep level or position that doesn't need a higher pressure, the pressure is reduced. The benefit is when a lower pressure is all that is required, the machine is not stuck at the highest pressure needed. The down side is, if the machine does not adjust, a person can be stuck at a lower pressure having episodes of sleep apnea. With auto-titrating CPAP, the mean pressure throughout the night is lower and two-thirds of the night is spent below the set CPAP pressure. The machine also can adjust for the changes in pressure that are needed to overcome the effects of weight gain and alcohol or sedative use. It may also improve compliance; however, this has not been measured. The disadvantages of auto-titrating CPAP are that leaks may underestimate pressure or airflow. Each company has a different algorithm for adjusting the pressure and adjusting for leaks. It is unclear which company has the best algorithm, but studies are on-going. Surgery should be considered only after all the risks, benefits, and alternatives to surgery are understood. Some insurance companies require a 3+-week trial of treatment with CPAP before they will even consider authorizing surgery for sleep apnea. This is not an unreasonable approach. CPAP, if tolerated, controls most sleep apnea, and this may be better than surgical options. It is difficult to have a serious, permanent complication using CPAP as compared to the possibility of such a complication with surgery. Many people have several levels of obstruction and, therefore, these surgical techniques frequently are performed together (for example, uvulopalatopharyngoplasty with genioglossus advancement and hyoid suspension). Various surgical procedures that stabilize the tissue at the roof of the mouth (palate) and walls of the throat (pharynx) have been described. The effectiveness of the procedures depends on the tissues involved with collapse of the airway in addition to what is happening elsewhere in the airway. Traditionally, an uvulopalatopharyngoplasty (UPPP) was developed. It is a long and fancy term to describe a surgery aimed at preventing collapse of the palate, tonsils, and pharynx which is common in sleep apnea. UPPP is most successful in patients who have large tonsils, a long uvula (the most posterior part of the palate that hangs down in the back of the throat), or a long, wide palate. It also is more successful in patients who are not obese. An UPPP operation is performed under general anesthesia and the patient is completely asleep. In simple terms, the tonsils are removed, the uvula is removed, and the palate is trimmed. All of the surgical cuts are closed with stitches. UPPP may require an overnight stay in the hospital to monitor breathing and to control pain. UPPP is a painful operation similar to a tonsillectomy in an adult (tonsillectomy in children is less painful). Frequently, it is recommended for patients undergoing UPPP to take 10 days to 2 weeks off from work. In the postoperative period, people usually are on a liquid only diet and require liquid pain medication. A UPPP is successful a majority of the time in preventing or decreasing obstructive sleep apnea. Studies also have demonstrated a decrease in mortality and decrease in risk of car accidents after UPPP. Some people who have a "successful UPPP" and fewer episodes of apnea, still have to use a CPAP after surgery to completely control their obstructive sleep apnea but it has also been shown to improve the quality of life in many individuals following surgery. There are complications that are unique to UPPP. Bleeding in the area of the tonsils may occur up to 14 days after surgery in about 3% of people. Occasionally, a second operation is needed to stop this postoperative bleeding. If large amounts of scar tissue form with the healing that follows the surgery, in particular between the nose and back of the mouth, the scarring can result in an airway that is narrower than it was preoperatively. This can result in nasal and pharyngeal stenosis, a difficult problem to treat. Velopalatal insufficiency is another complication of UPPP. One job of the palate is to close the back of the nose and direct food and liquids down the throat during swallowing. If the palate is too short or it cannot move far enough back, sometimes liquids may enter the nose during swallowing. Velopalatal insufficiency frequently is a temporary problem after surgery, but it may become permanent in up to 2% of people. The uvula and palate are used in some languages (for example Hebrew and Farci) to produce guttural fricative sounds. After UPPP, that sound cannot be made and may make some words difficult to pronounce. The palate also closes the nose during speech to prevent a "nasal" sounding voice. Some changes in voice can be permanent after UPPP. A more recently developed surgical therapy involves implantation of a small generator that stimulates the hypoglossal nerve to the tongue and upper airway muscles during sleep. As described, obstructive sleep apnea for many patients occurs when the muscles of the airway relax naturally during sleep. UAST therapy attempts to overcome the impact of that muscle relaxation and subsequent obstruction. Initial studies evaluating the ability of UAST to stabilize the airway have been very promising in select patients for 3 years and longer. One device is FDA-approved and provides therapy for patients who meet certain criteria, including previously failed medical therapy or CPAP. Implantation of the device includes the placement of a small generator in the anterior chest wall (similar to a cardiac pacemaker) with a stimulation lead placed around the hypoglossal nerve in one side of the neck. An additional sensory lead measures the breathing cycle to determine the timing of stimulation. Patients turn the device on before they go to sleep using a small hand held remote. There are no external hoses. This is considered the only surgery that does not alter the anatomy of the airway, however there are certain risks to consider and other contraindications. In some people with obstructive sleep apnea, the area of collapse is between the base of the tongue and the back wall of the throat (pharynx). Several surgeries have been used to decrease the size of the base of tongue and to open the airway. Most of these procedures are performed as an addition to other surgical procedures. Midline glossectomy is one method to decrease the size of the tongue. Under general anesthesia, various devices may be used to cut a trough down the middle of the base of the tongue. The difficulty with this procedure is to remove enough tissue to prevent collapse without changing the natural functions of the tongue during speaking and swallowing. This procedure may be considered for people who have had collapse in the lower part of the airway below the palate and tonsils. Combined with other surgical procedures, midline glossectomy has been reported to be very successful. The tongue base has also been the focus of surgical procedures to shrink the base of the tongue by scarring. Tissue that scars usually shrinks in size. For example, radiofrequency energy has been used to injure and scar the base of tongue. Usually the first treatment is performed under general anesthesia. A radiofrequency probe is placed in the muscle of the back of the tongue and energy is delivered. Over time, the tissue scars and shrinks. Frequently, several treatments are applied to the tongue. The later treatments can be performed in the setting of an office. One complication of radiofrequency treatment is an infection or abscess in the tongue. An abscess in the tongue can narrow the airway and may require surgical treatment. A 17% reduction in volume of the tongue has been measured using this technique; however, this is generally not a successful technique if it is used alone. Therefore, reduction of the base of the tongue is frequently combined with UPPP or other procedures. The genioglossus muscle is the muscle that attaches the base of the tongue to the inside front of the jaw bone. Genioclossus advancement or tongue suspension are types of surgical methods to reposition the tongue and relieve obstruction in the lower portion of the upper airway during sleep. The genioglossus pulls the tongue forward. In people with obstructive sleep apnea, it has been shown that the genioglossus is more active in holding the airway open at rest. When the genioglossus muscle relaxes during sleep the airway narrows and collapses. There are several procedures that pull the tongue forward to enlarge the airway. A genioglossus advancement typically detaches the part of the jaw bone where the muscle attaches and moves it forward about 4 mm. This pulls the base of the tongue forward. Genioglossus advancement is performed under general anesthesia and requires cutting the bone and screwing it back in place. This usually is performed in combination with hyoid suspension or UPPP. There also are less invasive methods to advance the genioglossus muscle. One method uses a stitch through the base of the tongue that attaches to a screw on the inside of the jaw. This method may be less invasive; however it is thought to be less effective and less permanent. The hyoid bone helps support the larynx and tongue in the neck. It is located below the mandible and tongue, but above the laryngeal cartilages. It is not directly attached to any other bones, but rather is attached to strap muscles above and below. The strap muscles elevate or depress the larynx during swallowing. As part of a surgery to bring the tongue and soft tissues up and forward, the hyoid bone may be suspended. This is usually performed with other surgical procedures, such as an UPPP or genioglossus advancement. In general, the hyoid bone is sutured up closer to the mandible. This pulls the tongue forward and up. This procedure is very rarely done alone without other surgical procedures. Like other surgical procedures for obstructive sleep apnea, hyoid suspension has an adequate success rate when performed in an appropriately selected patient. Maxillomandibular advancement is a surgical procedure that moves the jaw and upper teeth forward. This pulls the palate and base of the tongue forward and opens the airway. This procedure is best suited for a thin patient with a small jaw or patients with craniofacial, boney abnormalities. Both the jaw and maxillary bones are cut, moved forward, realigned, and plated into place. Care must be taken to keep the teeth aligned and preserve a normal bite and, therefore, the procedure usually is performed by an oral surgeon. The nerve to the front teeth and lip passes through the jawbone and is at risk for injury. Care must be taken to preserve the nerve so that there is normal sensation. In appropriate patients, maxillomandibular advancement has up to a 90% success rate for at least two years but longer term effectiveness is variable. Palate implants stiffen the palate. In select patients, they may prevent the palate from collapsing into the pharynx where it can obstruct the airway. They also decrease the vibrations of the palate that cause snoring. Palate implants have now been approved for people with mild sleep apnea; however, they are successful for only a small group of people with mild sleep apnea and palate collapse. A 250 pound man with an apnea-hypopnea index of 50 and decreases in blood oxygen to 85% will probably not be cured with a palate implant. A tracheostomy is a procedure to bypass the narrowed airway. The trachea is the specialized tube that connects our larynx (voice box) to the lungs. It can be felt in the lowest part of the neck in most people. If the obstruction to airflow is occurring above the larynx, a tracheostomy can be inserted to direct airflow directly into the trachea. The tracheostomy tube is passed through the skin of the lower neck directly into the trachea. This surgery is performed under general anesthesia and requires observation postoperatively for complications in the intensive care unit. Tracheostomy generally is reserved for morbidly obese patients with severe obstructive sleep apnea who are not candidates for other treatments. They usually can keep the tracheostomy tube capped during the day while breathing normally through their nose and mouth, and then open the tracheostomy tube at night. That way, they will have a normal voice and mouth breathing while awake, and breathe through the tracheostomy tube only at night. A tracheostomy can be a temporary procedure, kept in place only as long as it is needed. It is easy to remove the tube, and the body will usually heal the skin and close the opening rather quickly. Tracheostomy has close to a 100% rate of cure for obstructive sleep apnea because it bypasses the problem in the upper airway. In mixed sleep apnea obstructive apneas resolve immediately, but in central apneas, which are due to metabolic changes caused by the obstructive apneas, it usually take some time for the apneas to resolve. Studies have shown improvements in sleepiness, hypertension, and cardiac risks following tracheostomy. While it can be extremely effective, there are risks and complications of tracheostomy. The first is a psychosocial problem. Most people do not want to walk around with a tube coming out of their neck. The tracheostomy hole must be cared for and cleaned daily. Local infections or scar tissue can form around the hole on the inside or outside. Because of the tube, some people get recurrent infections in the bronchi (the tubes through which air passes from the trachea to the lungs). Severe life-threatening bleeding occurs rarely if the tube erodes into a major blood vessel in the neck. The trachea may stay narrowed at the tracheostomy site after the tube is removed. This may necessitate further surgery. Most patients do not need to resort to a tracheostomy for sleep apnea; however it is a life-saving procedure for a few patients. Bariatric (obesity) surgery is a type of surgery in obstructive sleep apnea. It is effective because most sleep apnea is caused by or worsened by obesity. Bariatric surgery is associated with a marked reduction in weight post-operatively. One study demonstrated an average weight loss of 120 pounds and an improvement in RDI from 96 to 11. All patients had at least a 55% decrease in their respiratory disturbance index. Bariatric surgery is only an option for morbidly obese patients with severe obstructive sleep apnea. There is a 10% morbidity (illness, disease) rate associated with this type of surgery as well as a 1% mortality (death) rate. Patients can regain the weight they lost after surgery. Bariatric surgery, like the other surgical procedures that have been discussed, has significant risks and is not suitable for most patients with obstructive sleep apnea. When a person with obstructive sleep apnea considers all the options for treatment, he or she may be tempted to not choose any of them. The masks and dental appliances have to be worn every night and the surgeries are painful and have no guarantee that they will be successful. When considering the consequences of all the treatments, however, it is important to remember that there are consequences of not receiving treatment. If one thinks that they or someone they know may have obstructive sleep apnea, they should discuss their symptoms with the doctor as soon as possible. Downey III, Ralph, et al., "Obstructive Sleep Apnea." Medscape. 18 Sept. 2012. What were your sleep apnea symptoms? Were you or your partner diagnosed with sleep apnea? Please share your experience. What is the best sleep position? Do you dream of sleep that does not aggravate back pain, neck pain, snoring, arthritis, or sleep apnea? You may sleep on your side, stomach, or back. What does your sleep position reveals about personality? Learn how to sleep more restfully and comfortably with these health tips.